Relax on your terrace and enjoy sunsets and ocean breezes, and sleep peacefully in your plush king bed lulled by the sound of the waves. 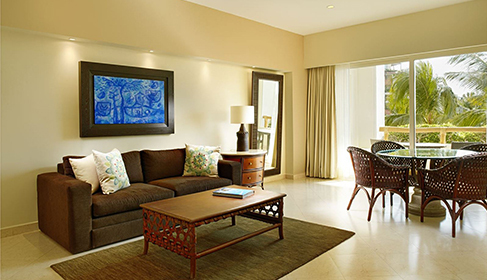 Unwind in the stylish sitting room with a cocktail from the stocked mini bar or order sumptuous cuisine any time of day. 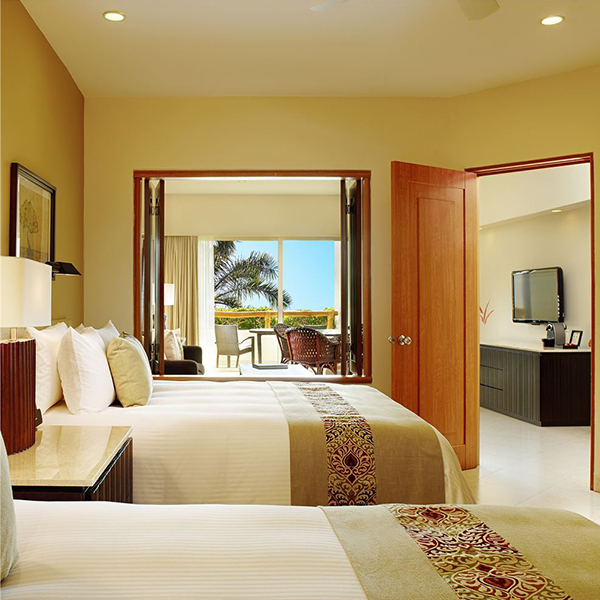 Retreat to our elegant Parlor Suite with two queen beds or one king bed, 1,000 square feet of space and private terraces with ocean views. 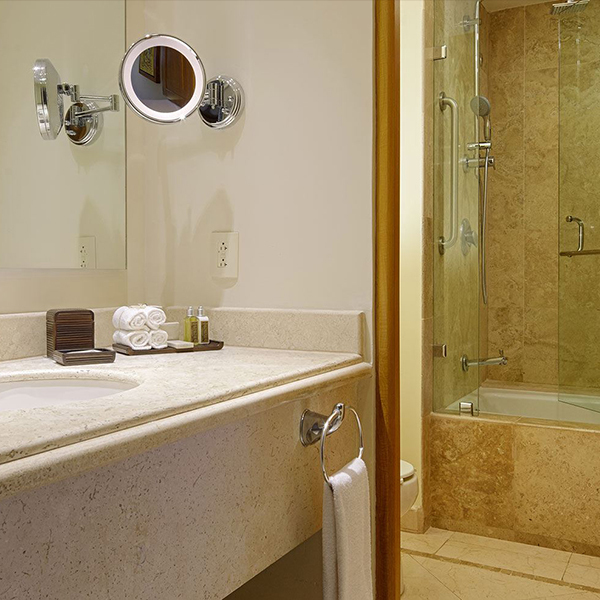 These gorgeous Puerto Vallarta suites feature a spacious bedroom and living area enhanced with 42" flat-screen TVs with cable channels, dining space and luxurious bathrooms with a hot tub.